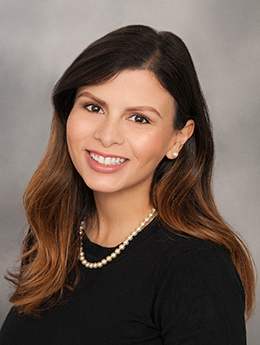 Cynthia Martinez is a Manager of Public Affairs with Southwest Strategies, specializing in communications for energy clients. Before joining Southwest Strategies, Martinez worked as the Sales & Marketing Coordinator for the technical publishing firm, Murach Books. During her time at the firm, she successfully expanded the company’s reach and brand recognition through her work in international sales and reprint rights, publicity, event coordination and management, and community engagement. She also acted as the firm’s tech lead for their expanding eBook program. Prior to her time at Murach Books, Martinez worked as an assistant to the Public Information Officer at Reedley College where she helped develop district-wide publicity campaigns focused on expanding awareness of financial aid programs to benefit low-income students. Martinez studied Mass Communication and Journalism at Fresno State University. While attending Fresno State, she was active in the university’s Hispanic Business Student Association and acted as the group’s Publicity Coordinator in 2006. She also volunteered for various non-profit organizations including Ronald McDonald House Charities of the Central Valley and the Fresno Area Hispanic Chamber of Commerce. In her free time, Martinez enjoys traveling, attending concerts and spending time with friends and family.